NHAI Department is inviting Internship applications from the scholars pursuing in their Graduation/Post-Graduation/Research from any documented University/Institution are invited for internship in NHAI for the year 2019-20. More information related to this NHAI Internship Scheme 2019 is given below in this article. You can apply for this scheme up to 31st March 2019. (a) Currently studying in the final year or pre-final year/semester of their course. (b) Should have obtained overall 70% marks or equivalent grade in all the previous yearly/semester examination and no backlogs (re-appears) of any subjects. 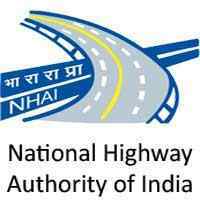 (c) Can apply for NHAI internship only once during one’s academic career. (a) The interns will be granted a stipend of Rs.5,000/- per month and the duration of internship shall be for a maximum period of 02 (two) months. The months of internship for the Academic Year 2019-20 (1st July 2019 – 30th June 2020) will be decided by NHAI. (b) The selected applicant can be deployed at any place of work of NHAI (HQs/Regional Office/Project Implementation Unit) scattered all over the country. (c) As the number of seats are limited, selection will be on ‘first-come, first served’ basis. (d) Application can be filled and submitted by the concerned College/University/Institute. The “No Objection Certificate” (NOC) in the attached proforma needs to be uploaded while filling/submitting the application form. (e) At the time of joining, selected applicant shall be required to produce original certificates, ID proof and a letter from their Supervisor/Head of Department/Principal, indicating their status in the institution. (f) The list of selected applicants will be displayed on NHAI website only. (g) Closing date of submission of application is 31.03.2019.